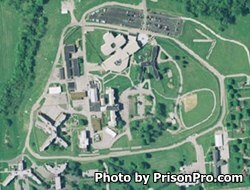 Western Reception, Diagnostic and Correctional Center is located in St. Joseph Missouri. This facility is considered a minimum/diagnostic custody level. Diagnostic custody consists of all security levels. Western Reception, Diagnostic and Correctional Center is an intake and classification center that is responsible for assessing the physical and mental needs of offenders, it is during this period that inmates are assigned a custody level and permanent housing facility based on their assessed needs. The current capacity of Western Reception, Diagnostic and Correctional Center is 1,980 male inmates. This facility is also responsible for the Western Region Treatment Center which is a 595 bed substance abuse treatment program. This facility also offers the Family Orientation Meetings which occur once per month and last about an hour. During Family Orientation Meetings the policies and procedures of the Missouri Department of Corrections are explained. For more information about Family Orientation Meetings contact the facility at the telephone number provided below. You may visit an inmate at Western Reception, Diagnostic and Correctional Center only if the inmate has been there for over 30 days. After thirty days the inmate is allowed a two hour non-contact visit, with up to two adults and two children at the visit. All visitors must be approved before visiting by filling out a Missouri inmate visiting application, the inmate will inform you of the applications status. Visitation occurs on Fridays, Saturdays and Sundays from 5:30pm-7:30pm, 6:30pm-8:30pm, and 7:30pm-9:30pm (please note minimum offenders who are permanently housed at this facility have visiting hours Fridays, Saturdays, and Sundays from 9:30am-1:30pm, and 2:30pm-6:30pm for this facility).